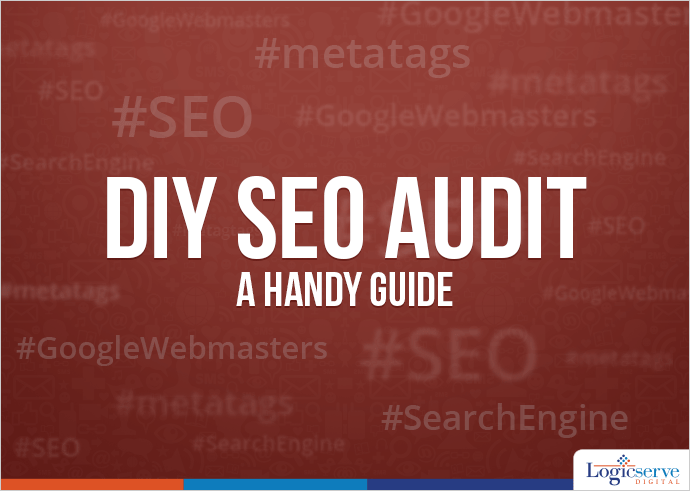 DIY SEO Audit - Part II. Steps to improve your website's online visibility. Continuing with our DIY SEO audit guide, we concentrate our efforts to check out website pages and where exactly we lag in terms of SEO parameters and measures we can take to rectify them. Search appearance and HTML improvements to check out the title tags, meta tags, use of relevant keywords, URLs etc. Each page on your website should contain unique content which can be indexed. Also, the content should be easy to read, devoid of grammatical errors and free from spelling errors. You could even go through the descriptions and improvise them further if they lack the punch and a call-to-action. Make sure they are well written and contain the relevant keyword too. A thorough check across the images and multimedia content uploaded on the website with regards to use of alt tags and meta information for search across the search engines as well as the visitors. Make sure the pages of your website target different keywords. In case, more than one page targets the same keyword then your website could be doomed as the search engines get confused along with the visitors with reference to which page is to be referred to as well as displayed. Today, the role of search engines has gone beyond displaying relevant responses to search queries and hence we need to consider some external parameters which influence the visibility of your website viz. Yes, this one is crucial. You need to ascertain the number of backlinks is your website enjoying. A Google webmaster tool gives a complete the list of all the backlinks that are crawled by Google. Along with it, do check whether the links are from authority sites and relevant to your website. In event of exactly matching anchor text, Google may term them as unnatural. So act fast and get them removed. If your site takes quite a long time to load say more than 10 seconds, the chances of the visitor leaving your site without visiting it are high. Also, take into account that websites are accessed through mobiles for which they need to be not only compatible but also fast loading. You could seek out some free tools which provide insights on how to make the site load faster. One such tool is Google’s Page Speed Insights Tool. As an online entity, your engagement ratio within your social media channels determines how successful you are. What you need to check out are the shares, retweets, likes and even +1s accumulating across your social media accounts along with the traffic diverted towards your website. You need to study and review and gain insights on how the customers/users rate you, your product or service. This exercise can be conducted on competitor sites as well. Ascertaining the pulse of the market audience through competition is a good move which help you take the lead. This SEO audit checklist could offer you real insights into the flaws in your website. With corrective measures implemented in the right manner, you can not only improve the performance of the website but witness an increase in the traffic flow towards it as well. It is advisable to undertake a SEO audit before you begin a SEO campaign so as to gain maximum leverage out of it. Meanwhile, even if you are in a midst of a marketing campaign, undertaking a SEO check and modifying your website in the recommended manner will certainly make way to a successful campaign with desired results.